i Click 'view all' to instantly compare this fantastic deal with offers on other top bed pillows standard size. 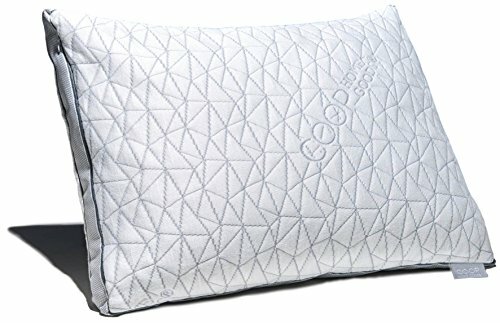 Coop Home Adjustable Hypoallergenic Gel Memory Foam Pillow Standard is currently selling at $69.99, approximately $6.96 lower than average, giving a potential saving of $60.00 right now. With a lowest price of $69.99 and an average of $76.95 it is selling on the low end of its usual range. Price volatility is 0.45% (meaning it does not change often), so the price should stay low for a while. Right now this product is a recommended 'fantastic deal'. The current deal is also the best price on this item over the last month. 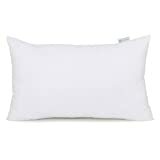 Compare the current price, savings (in dollars & percent) and Buy Ratings for the top Bed Pillows Standard Size that are closely related to Coop Home Adjustable Hypoallergenic Gel Memory Foam Pillow Standard. Here is how Coop Home Adjustable Hypoallergenic Gel Memory Foam Pillow Standard compares with other leading Bed Pillows Standard Size. At Coop Home Goods - our mission is to Elevate Every Day. We seek to do this by improving the everyday products we use. Our Eden line of pillows emerged out of customer feedback. From sleep experts, doctors and chiropractors to their patients recovering from injuries and busy moms looking for well-deserved rest, we heard great ideas and suggestions for how to improve our best-selling pillow and did just that. After producing hundreds of thousands of pillows, we know the importance of customer feedback and wanted to make our customers' dreams come true. FeaturesWAKE UP REFRESHED - Our Eden pillow provides better neck support while you sleep. Our gusseted design prevents pillow pinch (when the edges of your pillow slope together and fill gets pushed out from under your neck). With the Eden pillow, you have maximum pillow support, allowing for edge-to-edge support and helping you get the refreshing rest you need.NO MORE SWEATY BED HEAD - Our Ultra-Tech fabric made of 40% bamboo-derived viscose rayon and 60% polyester provides breathability, while the cooling gel memory foam helps draw out heat and keep you at a comfortable temperature throughout the night. Because our Eden memory foam is shredded into cross-cut pieces and includes poly fibers to prevent it from clumping together or getting too compact, which means more airflow and you get to a comfortable temperature and undisturbed sleepDON'T ADJUST TO YOUR PILLOW - YOUR PILLOW SHOULD ADJUST TO YOU - Featuring our patent-pending adjustable design, the Eden pillow can be adjusted by you at home and puts its customization in your control; you don't need to send your pillow to the manufacturer and wait for them to adjust it. Our Eden pillow features a zippered inner and outer cover, allowing you access to its proprietary fill and the ability to add or remove as much of it as you need to meet your own unique needs.SLEEP SMART - You spend the night on your pillow, so it only makes sense to know what you're sleeping on. Our pillows are made in the U.S.A., contain CertiPUR-US certified memory foam, are made without PBDEs, TDCPP, or TCEP ("Tris") flame retardants, and are hypo-allergenic and dust mite resistant. 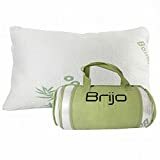 They feature a removable outer cover for easy cleaning and the pillow itself is also machine-washable.